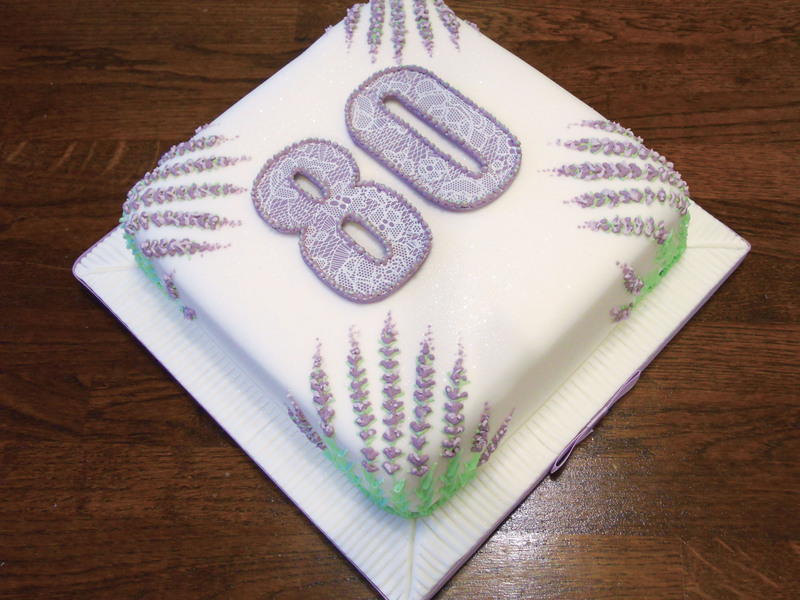 This fabulous lavendar cake was designed for a ladies 80th Birthday party. The corner detail would also be fantastic as a multi tiered wedding cake. 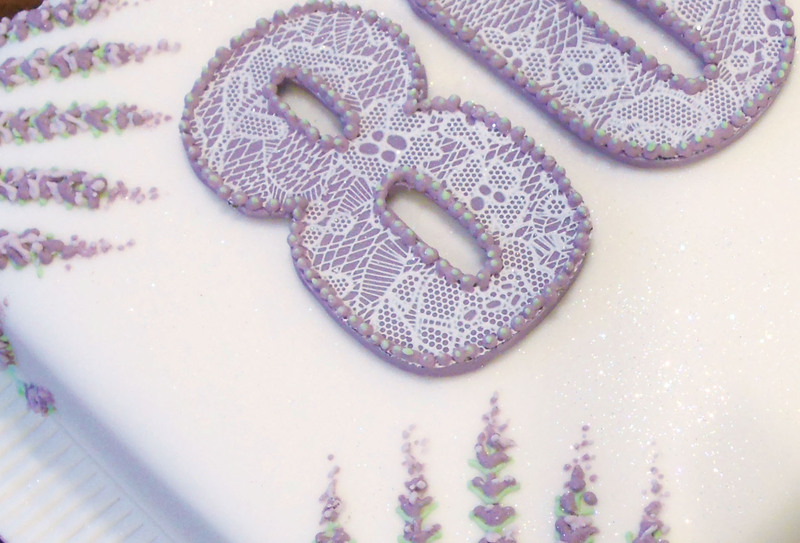 The hand cut out 80 was covered in edible lace and then highlighted in tiny dots piped around the edges. 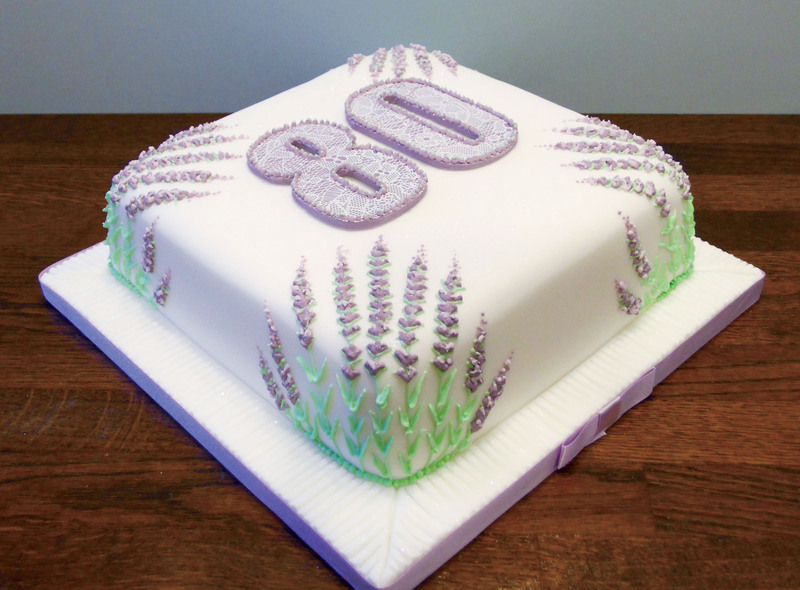 All four corners have been decorated with stylised lavendar growing from the base and on to the cake top. First the green stems were iced, then purple for the flowers and a final flourish of green leaves. If you’d like me to decorate a similar cake for a special occasion then please feel free to contact me for a quote. Just to let you know I am based in Nottingham.